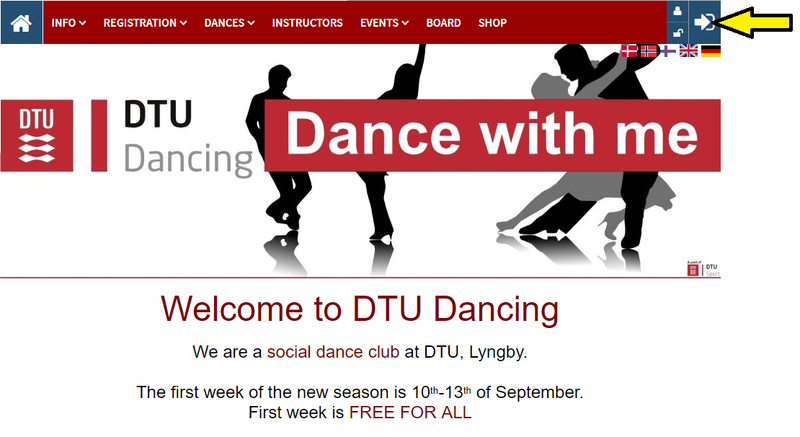 In order to sign up for classes at DTU Dancing, you will need a profile. You can follow the three easy steps below to create it. 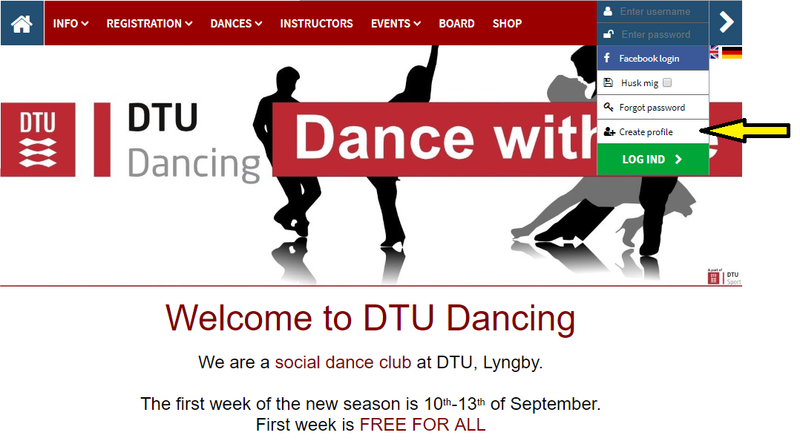 Once you have created your profile, you are ready to sign up for classes here. Please notice that you cannot sign up for multiple classes at once but instead have to register for one class at a time. We are sorry for this inconvenience, but don't worry, you will still get the discount for following multiple classes. Step 1: Hover over the arrow in the upper right corner. Step 2: Click 'Create profile'. 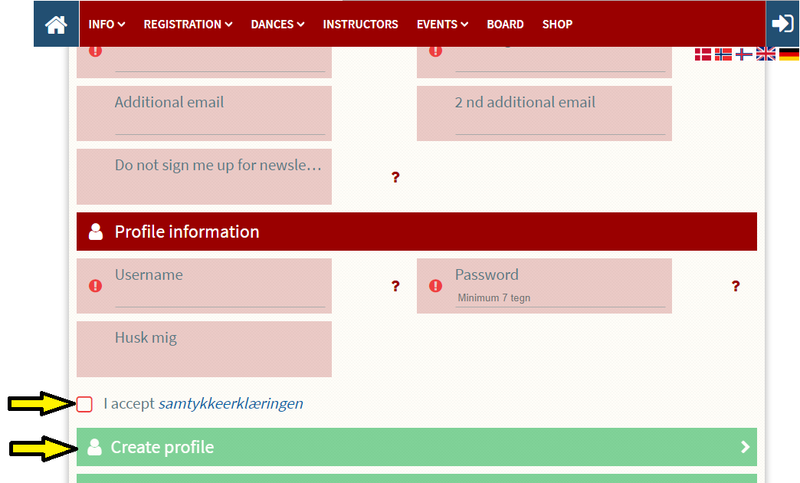 Step 3: Fill in your information, tick off 'I accept samtykkeerklæringen', and click 'Create profile'. You are now ready to sign up for classes!